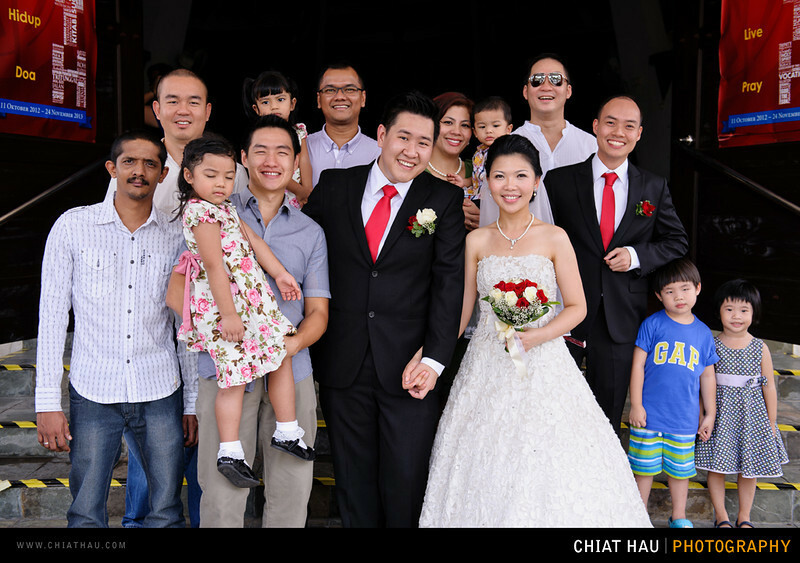 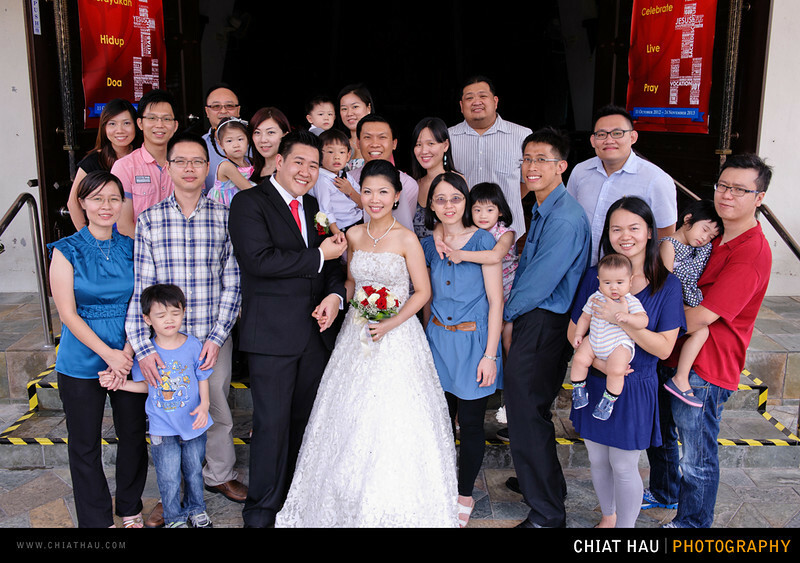 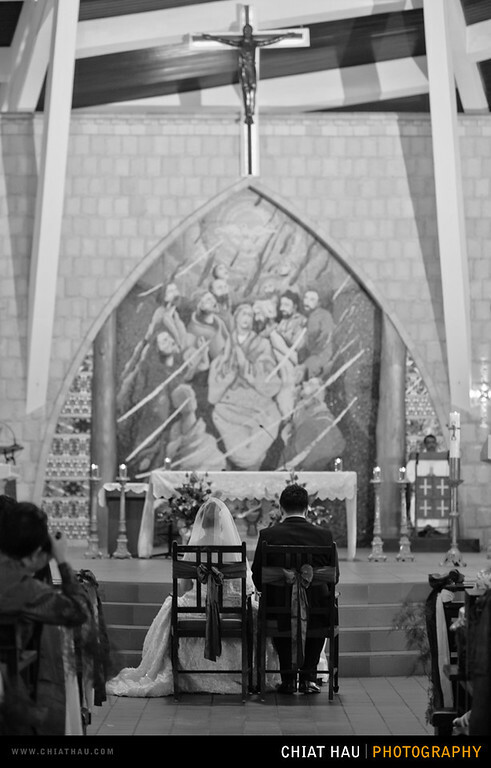 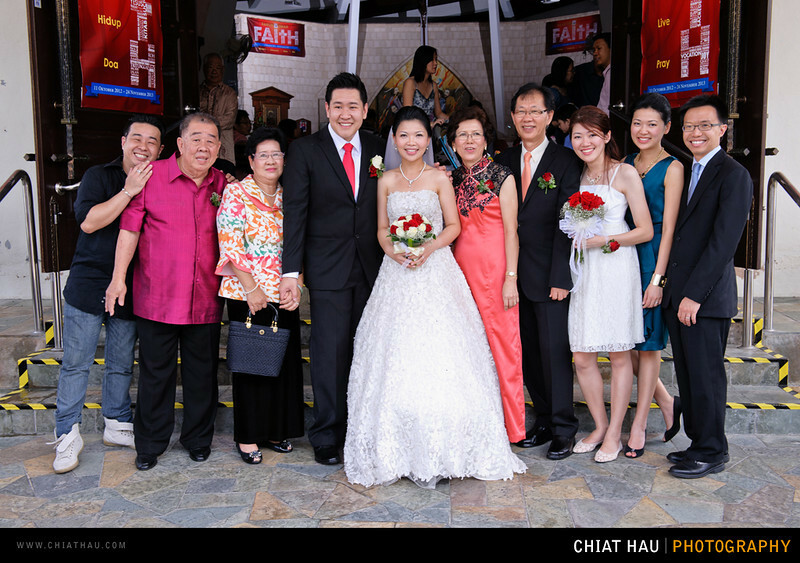 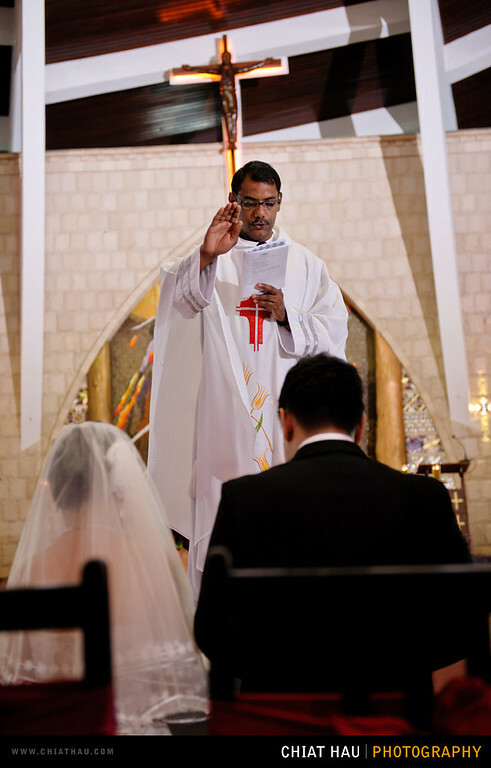 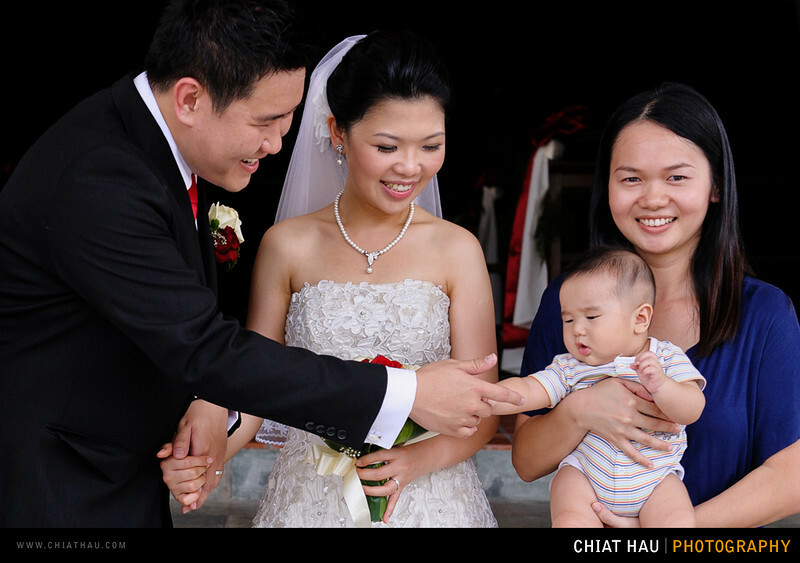 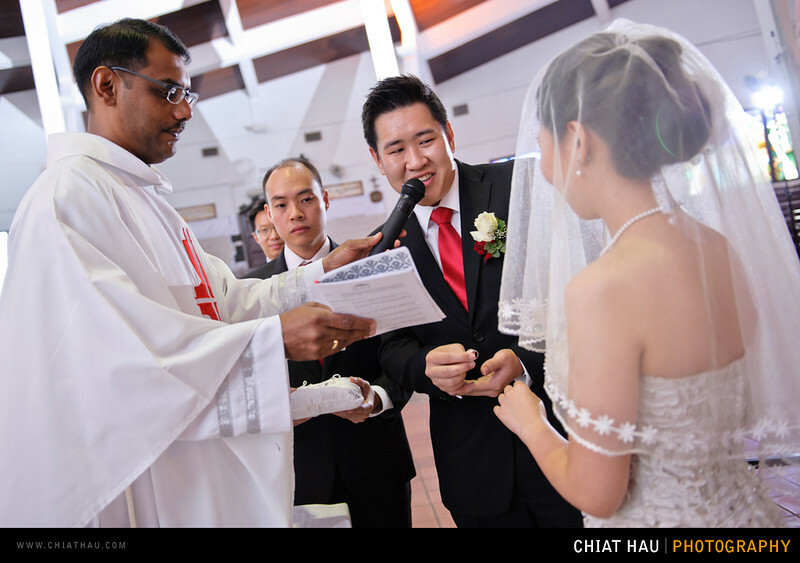 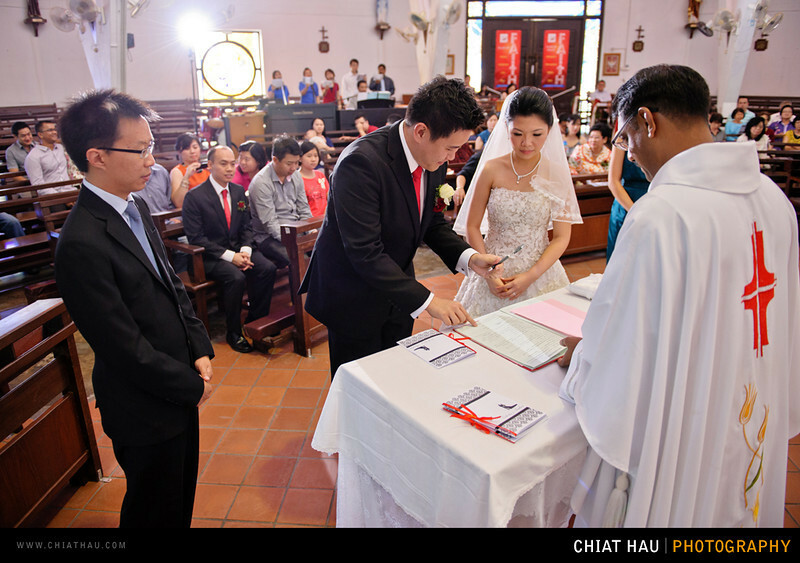 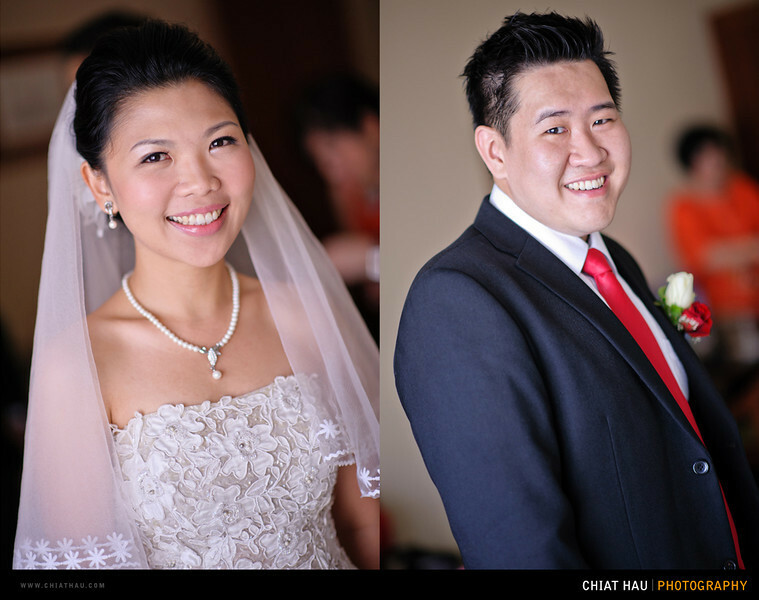 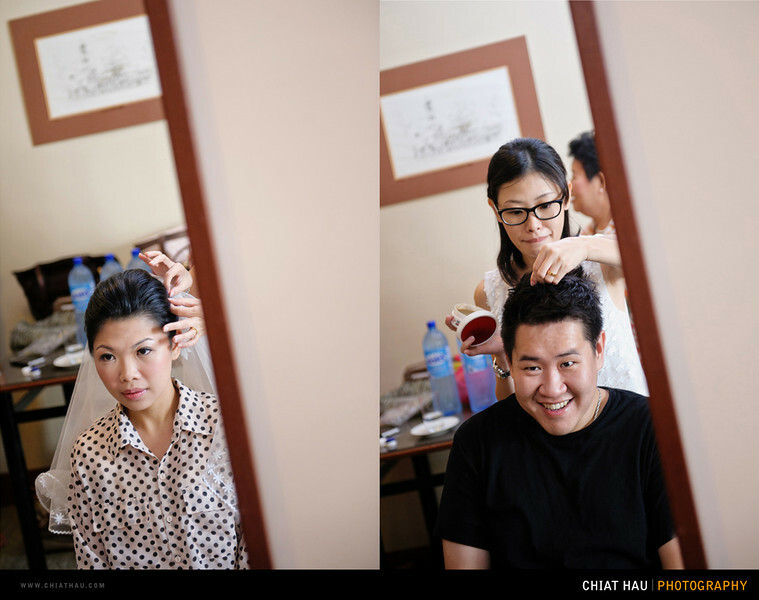 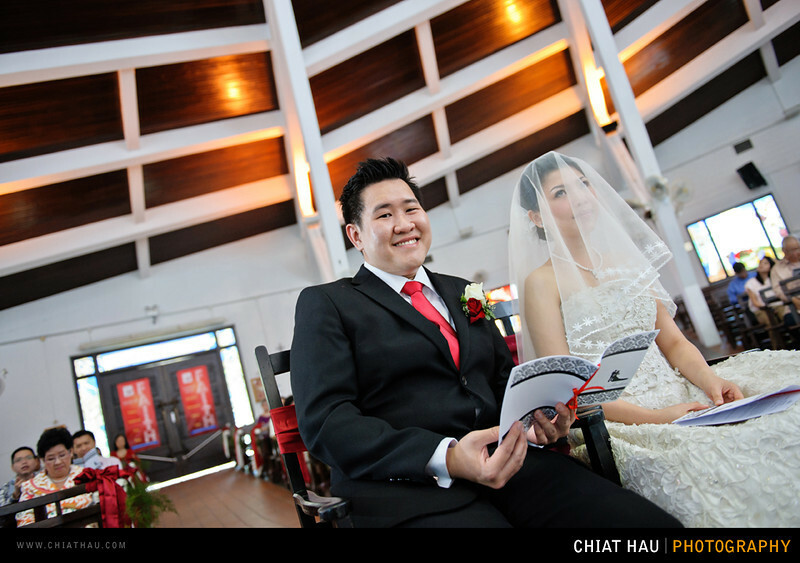 Everything started when Pauline approached me to be their actual day wedding photographer. 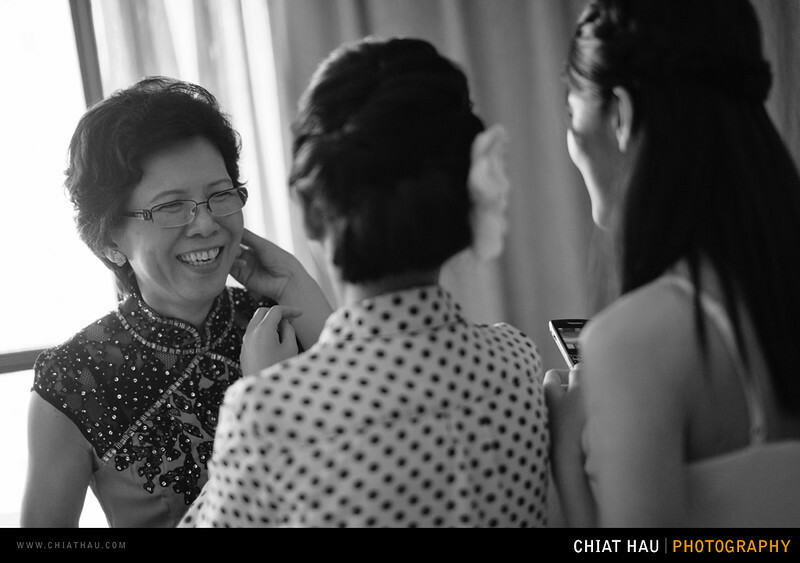 Seriously it is an honour to me when she did so. 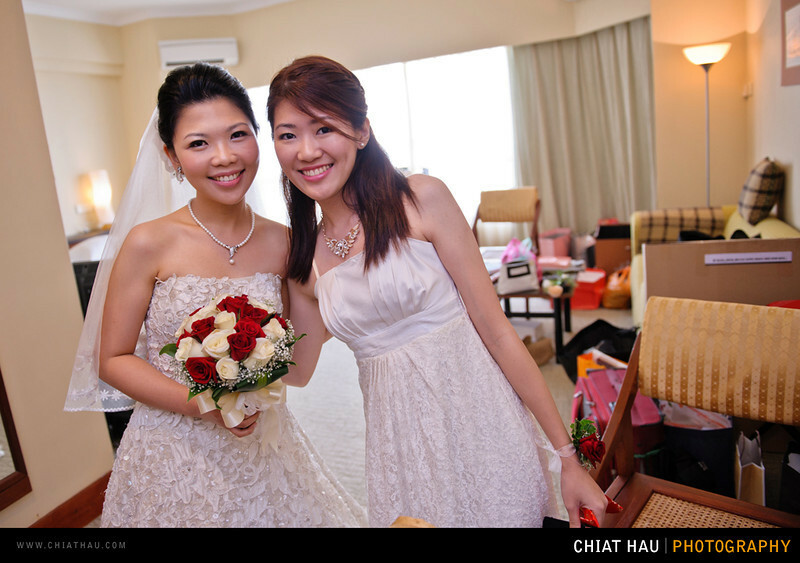 Pauline is my secondary school and university junior. 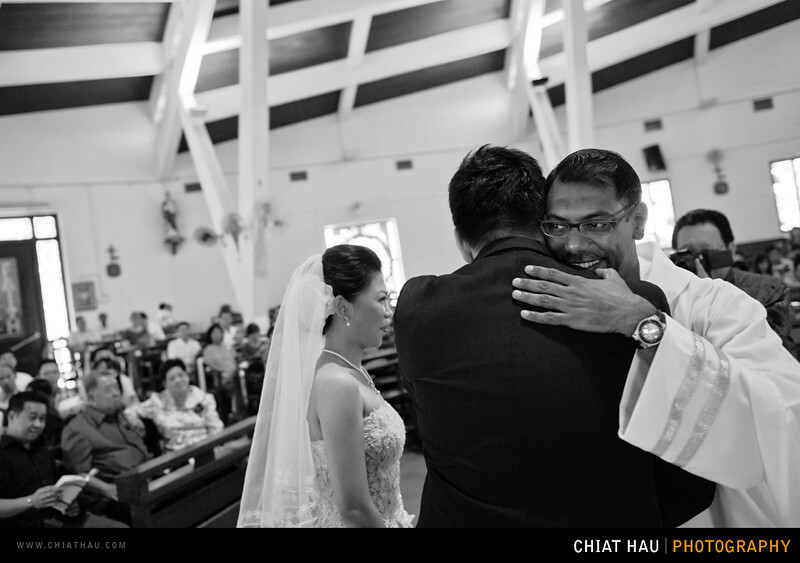 So it is kind of cool and excited when you got a chance to capture down some precious moment for someone that you know for so long. 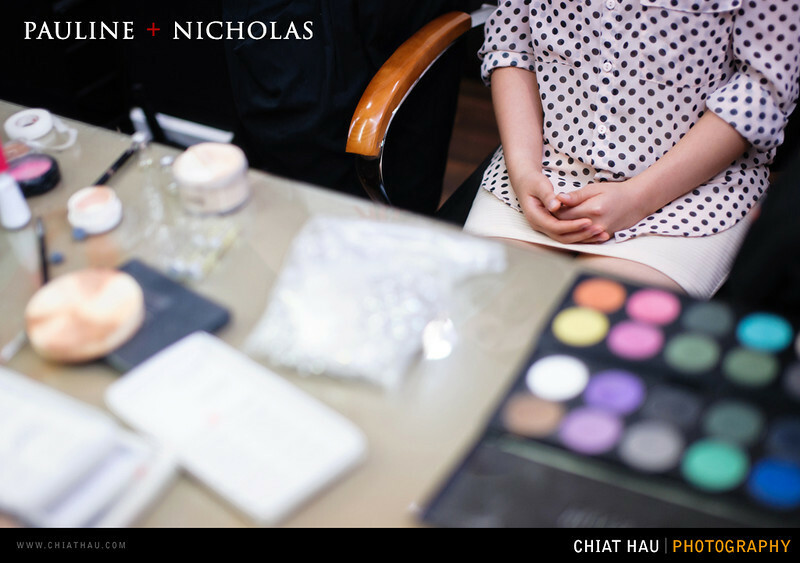 Anyway I never realised that Nicholas (Nic) has engaged with Pauline. 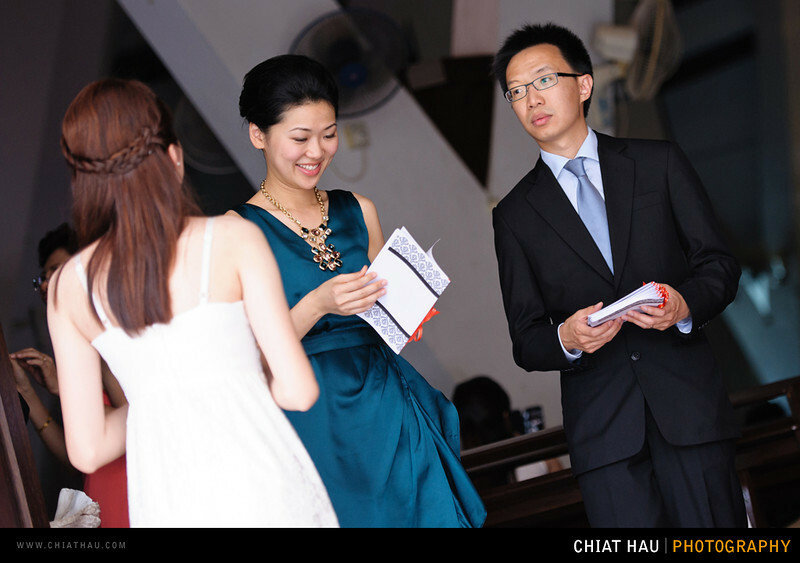 I knew Nic from Gunn and he has been a pretty cool, gentle and awesome guy to mix with (even though you did not know him well - you just got to love his friendly smile that he carry with him all the time). 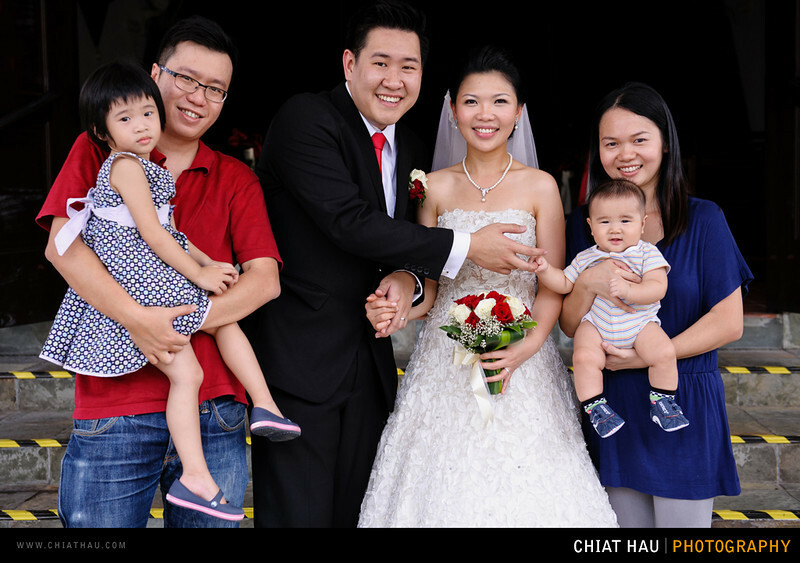 So, it eventually is a surprise for me when I got to know that they have been engaged when we are meeting up for our first consultation session. 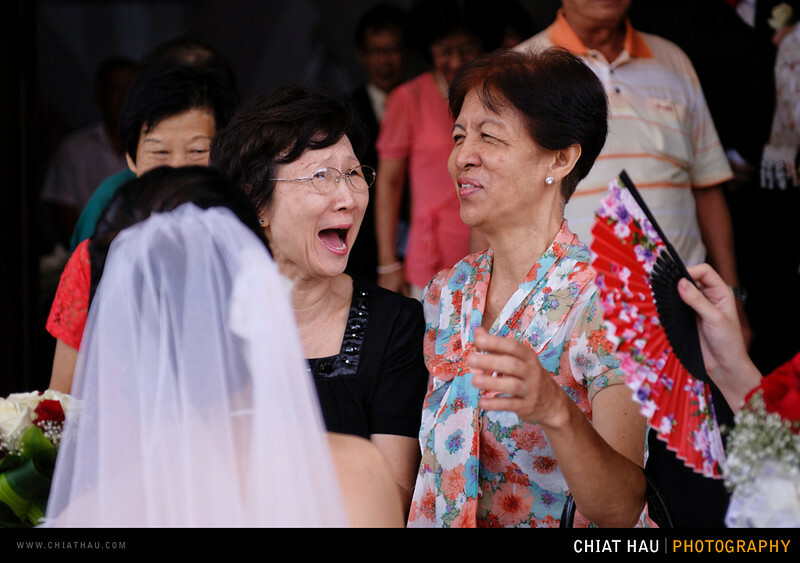 (Yeah, and I told them that I am shock about this, haha). 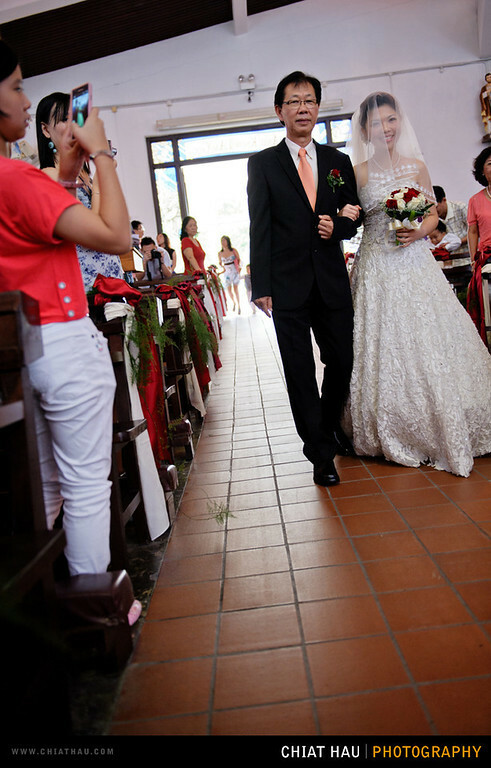 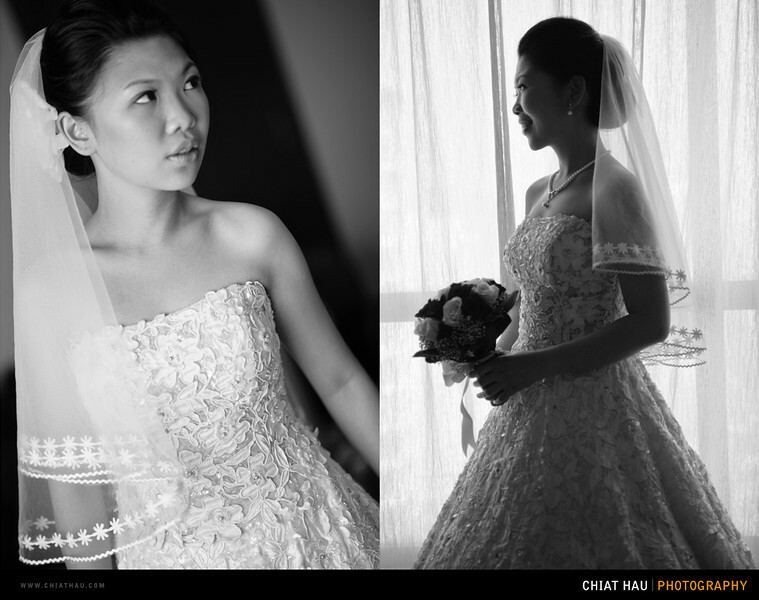 * It is a 2 photographers coverage actual wedding event and thanks to DC for collaborating in this photo shoot. 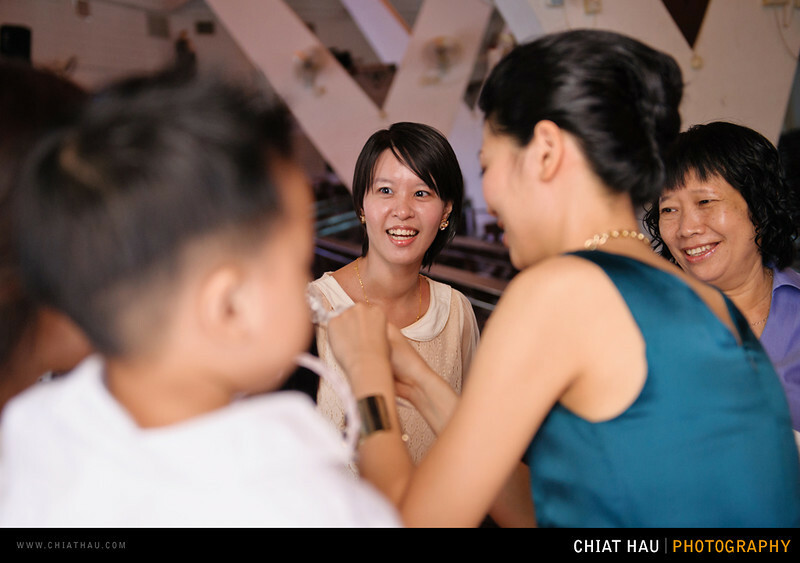 Thanks a lot DC! 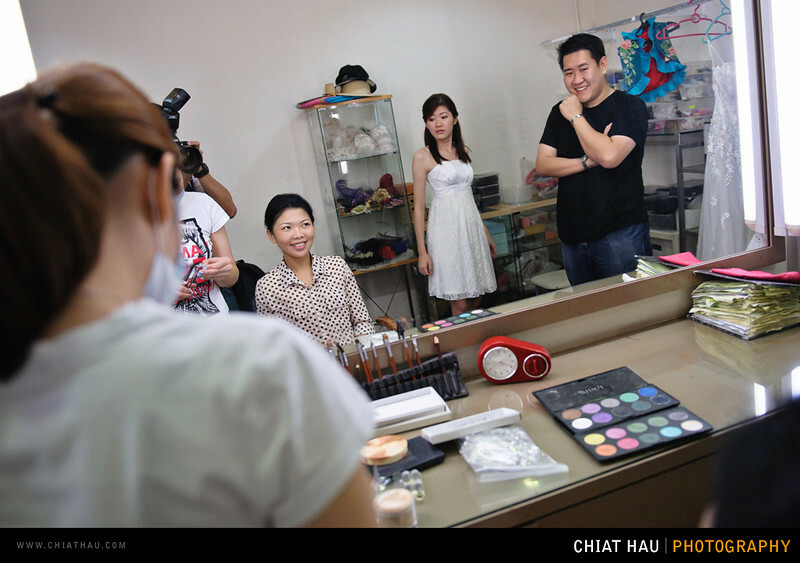 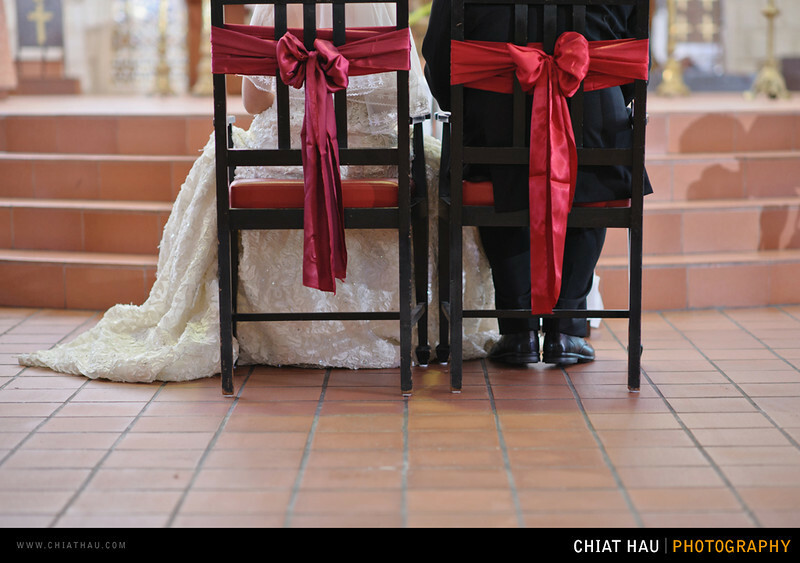 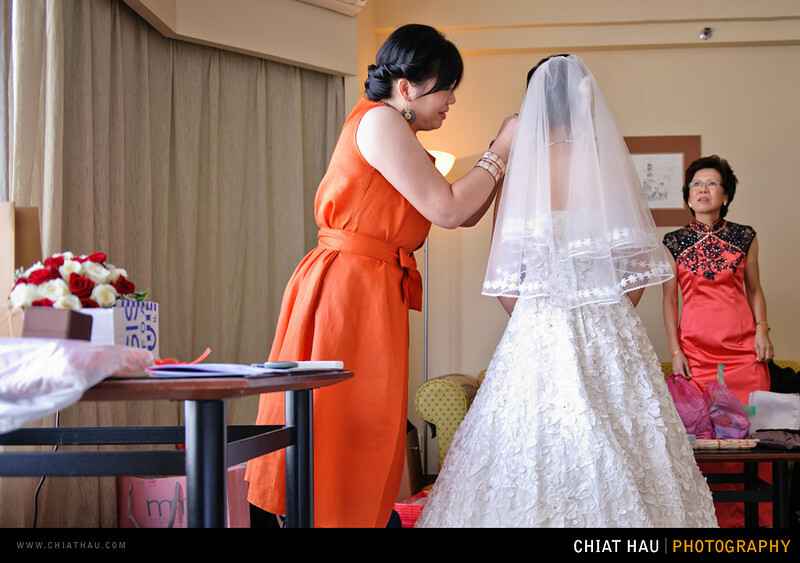 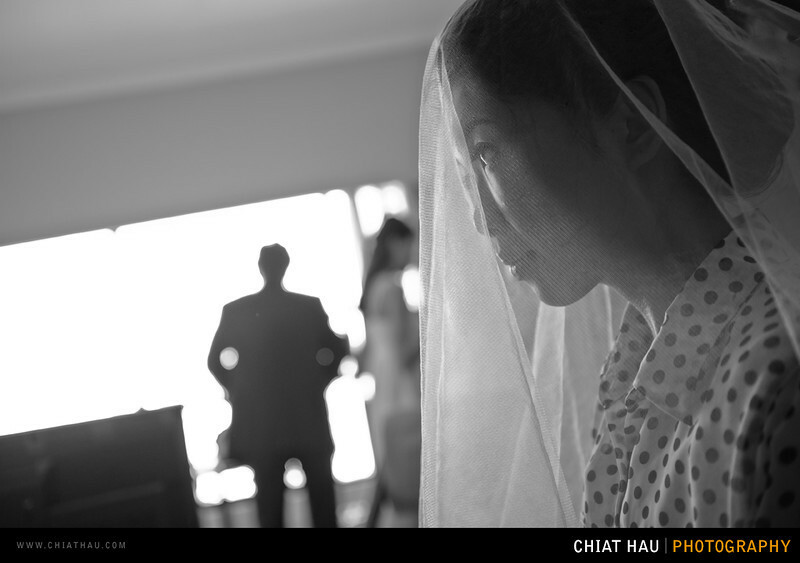 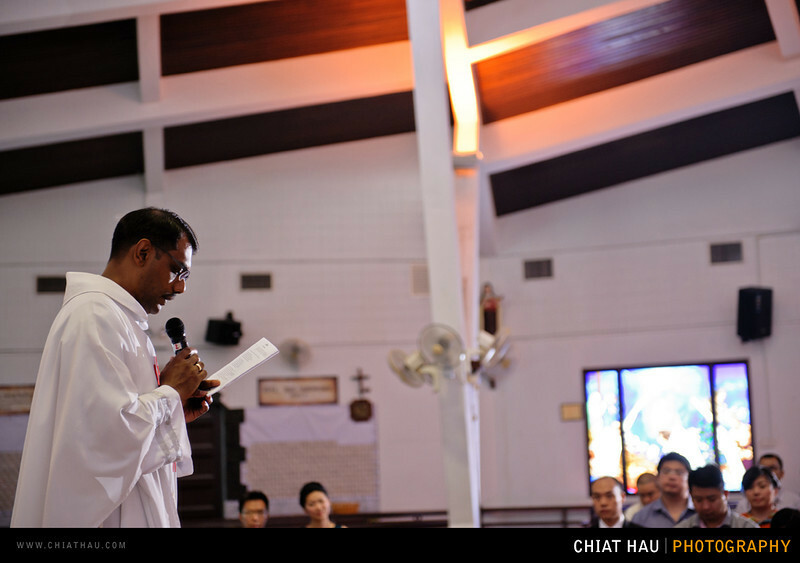 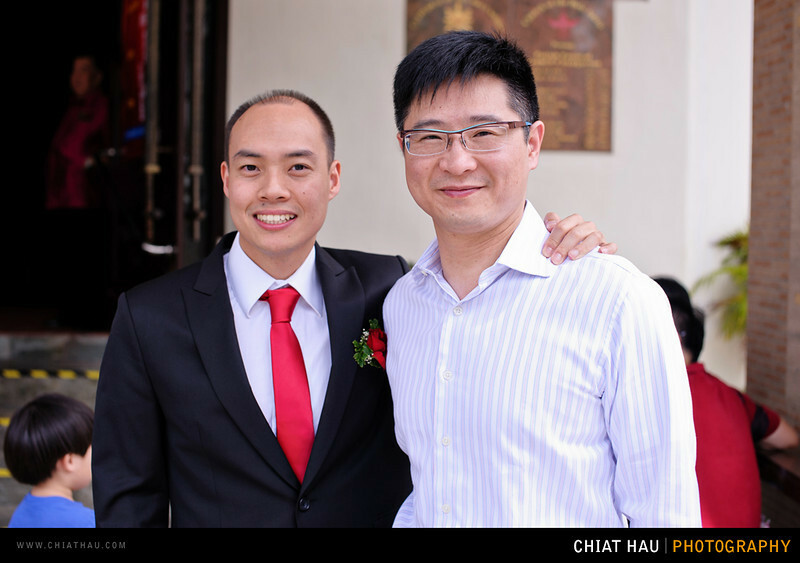 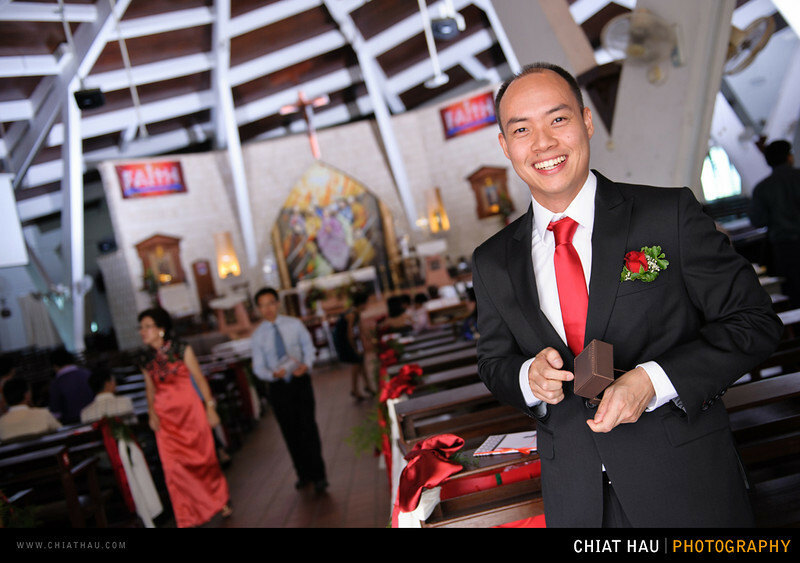 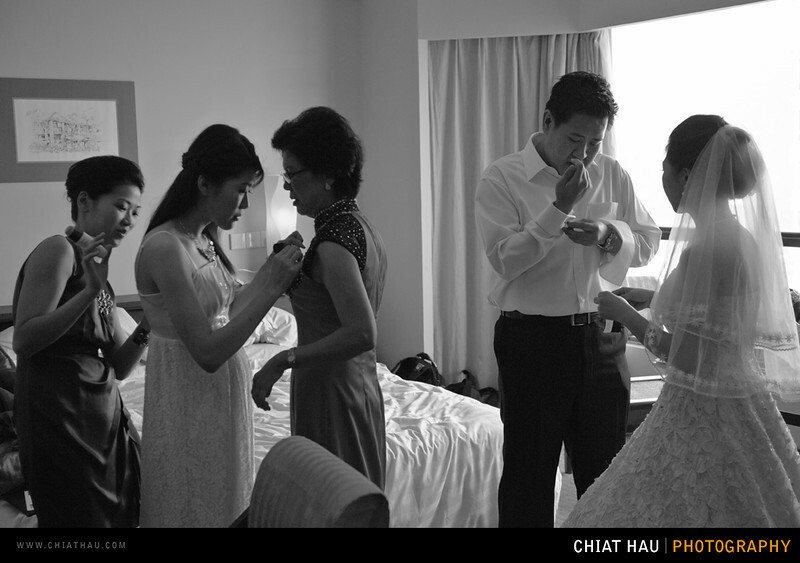 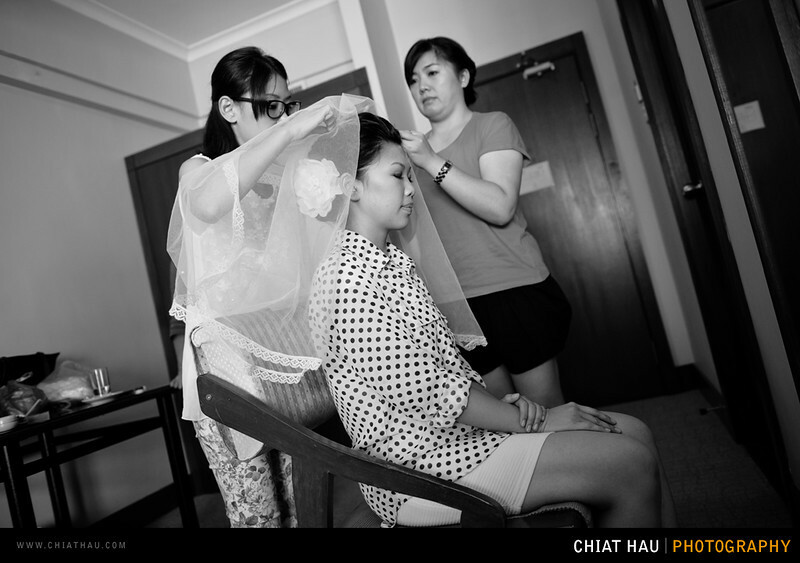 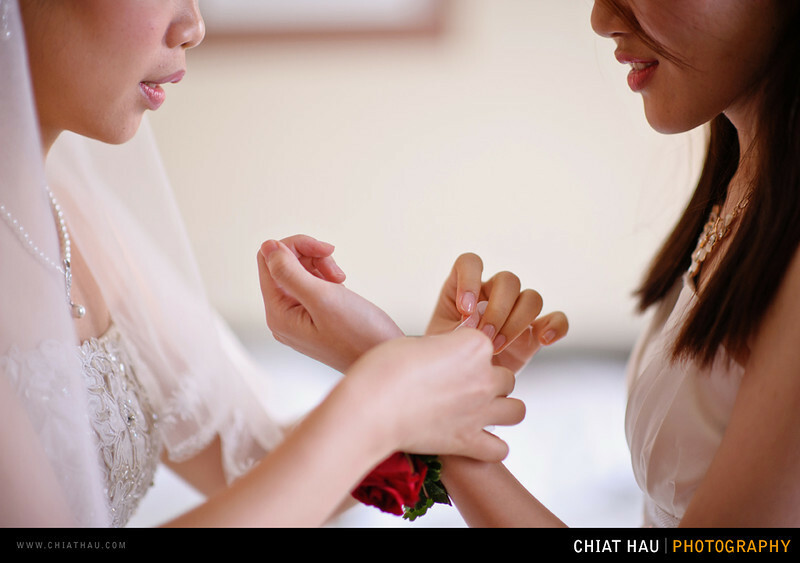 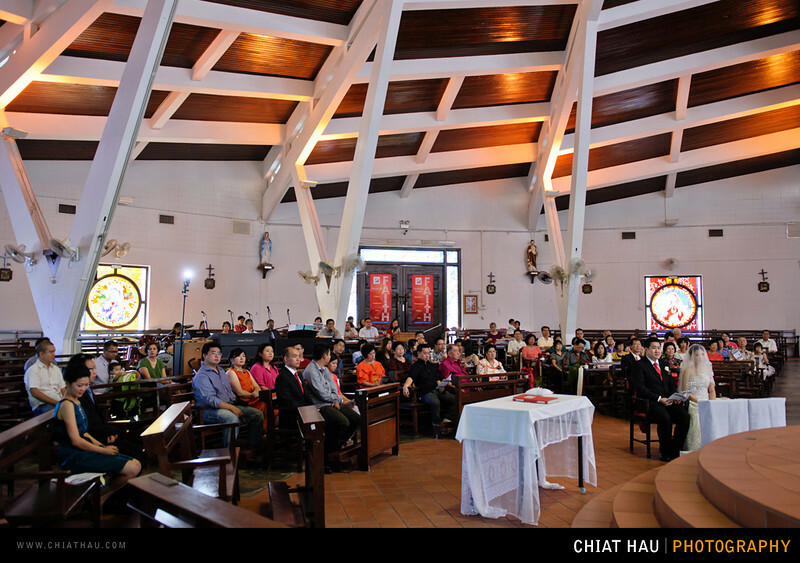 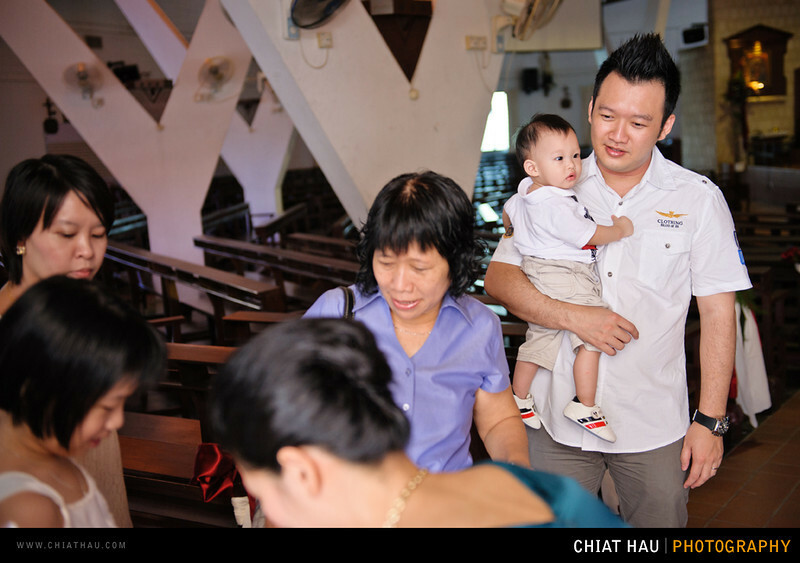 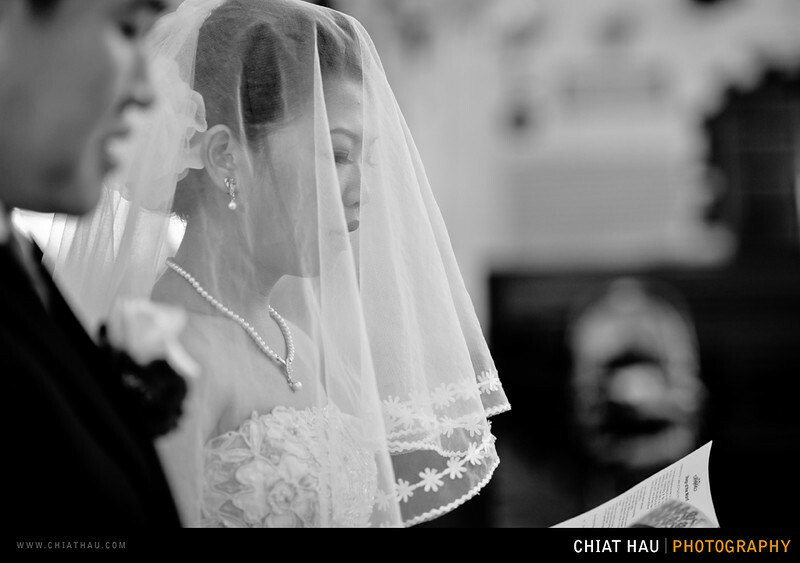 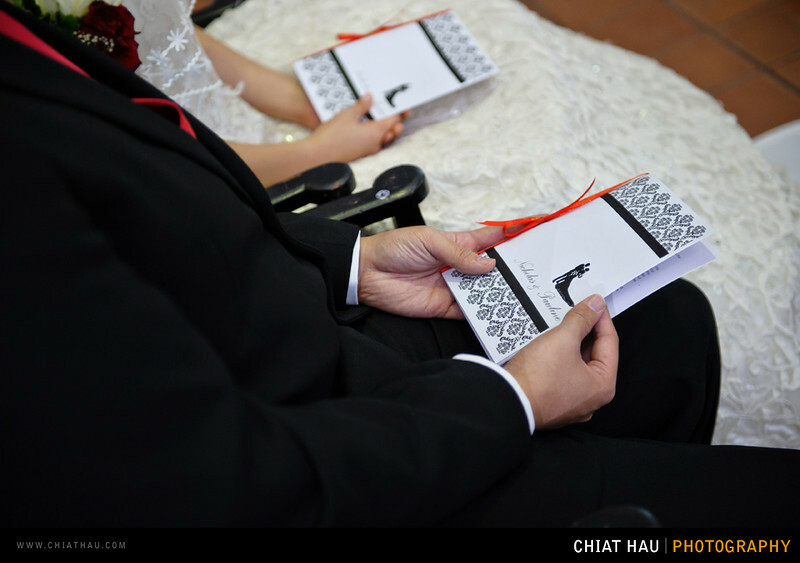 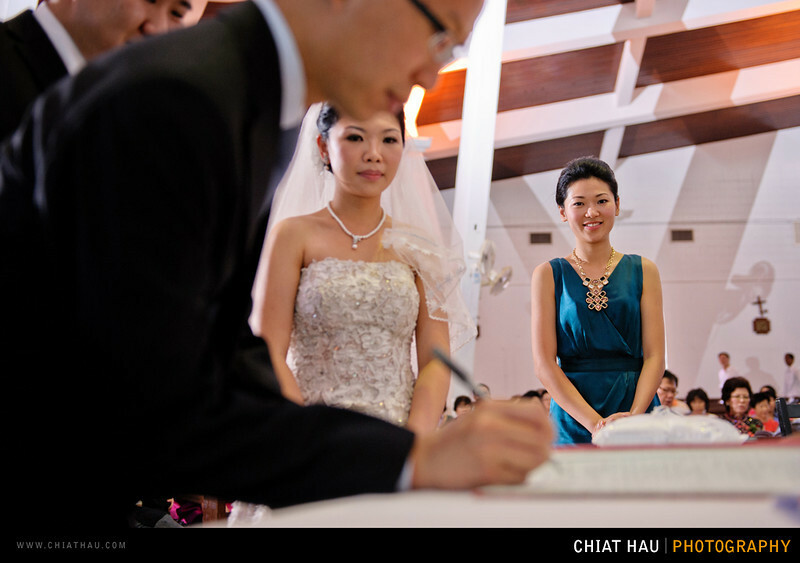 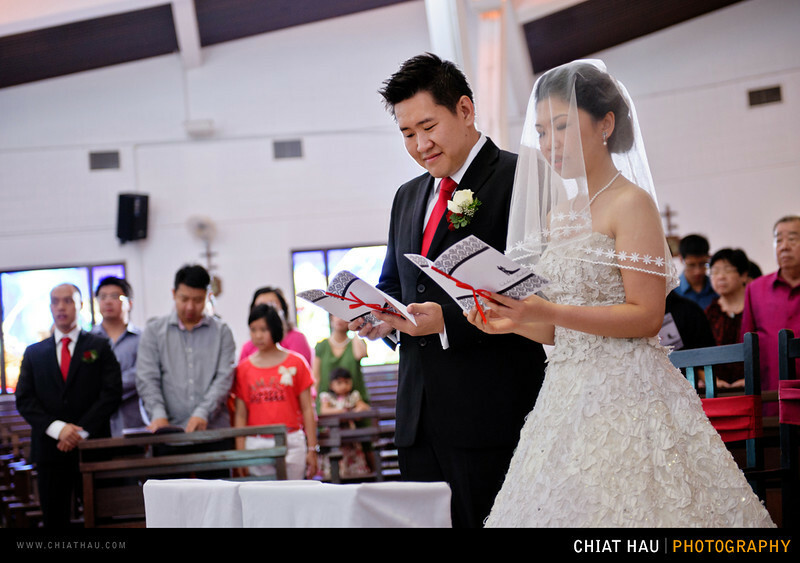 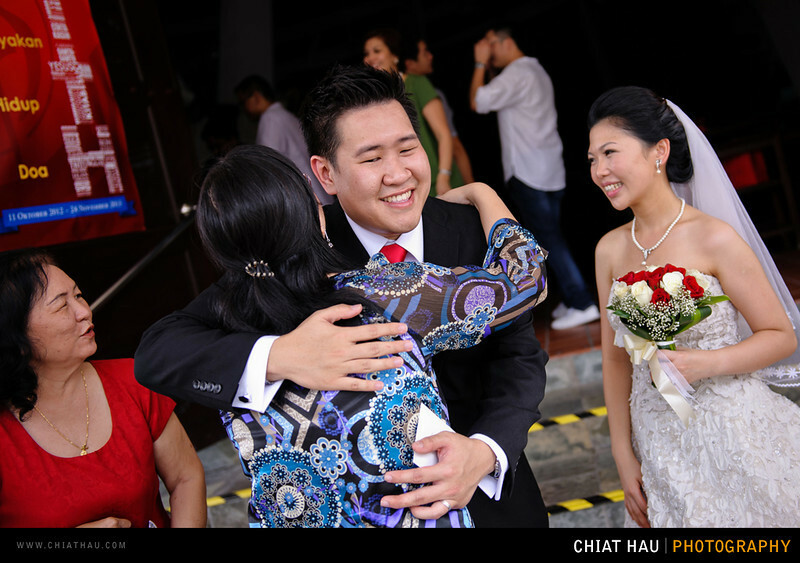 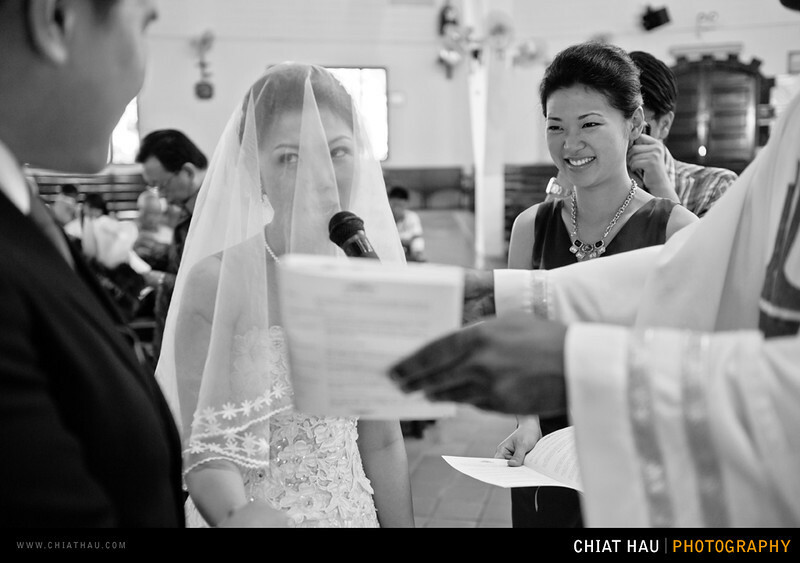 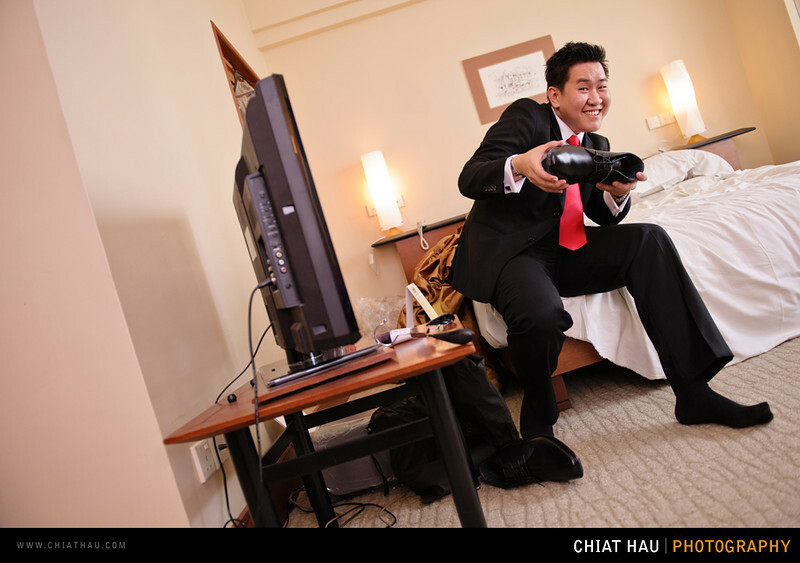 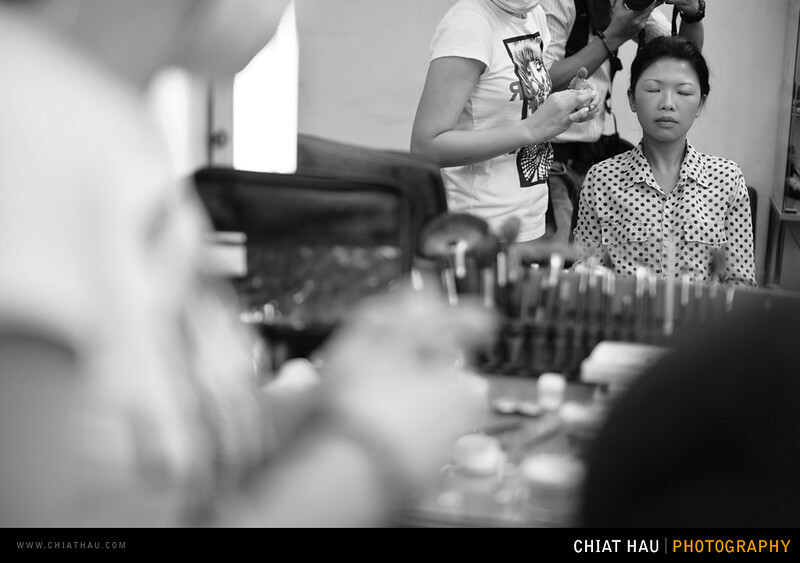 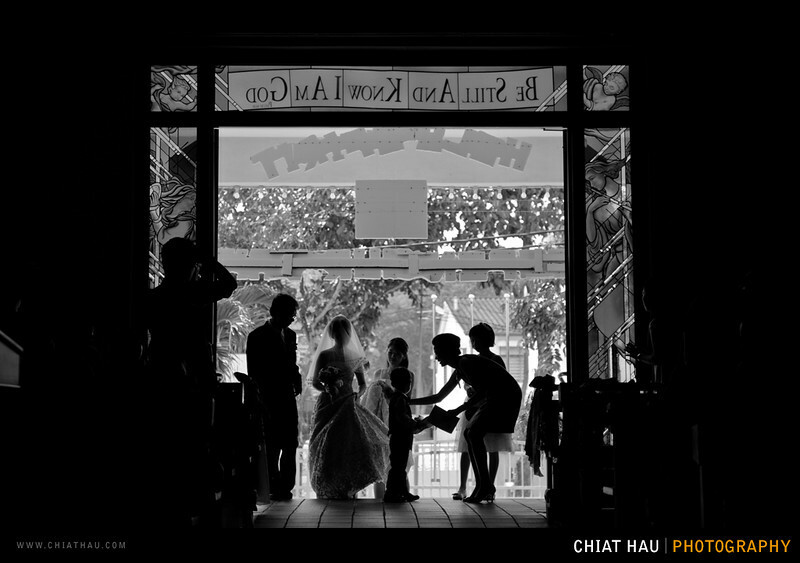 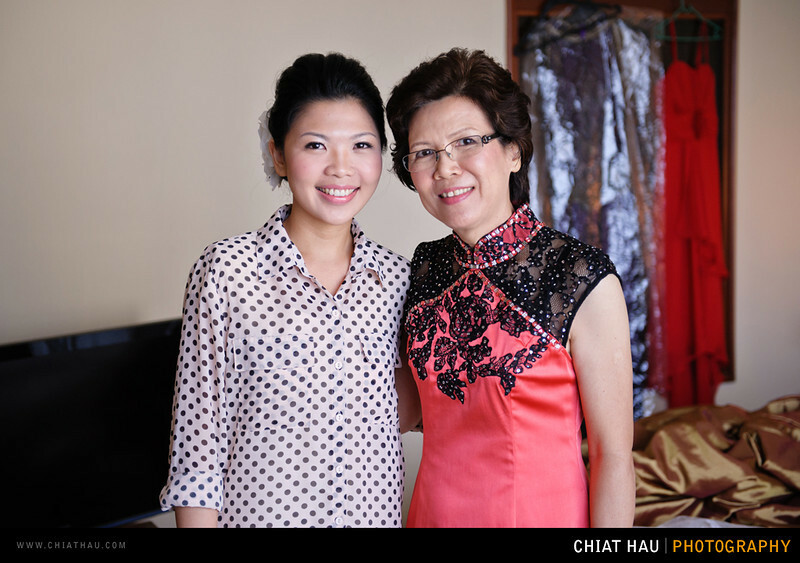 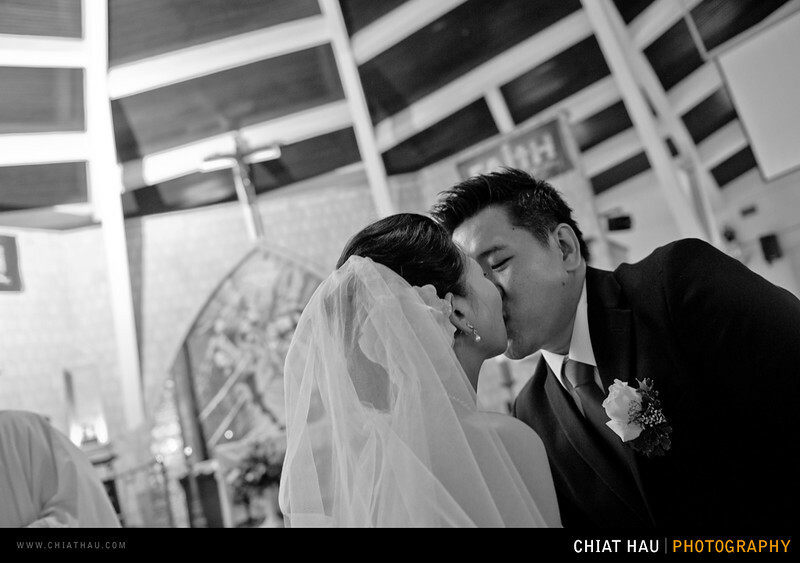 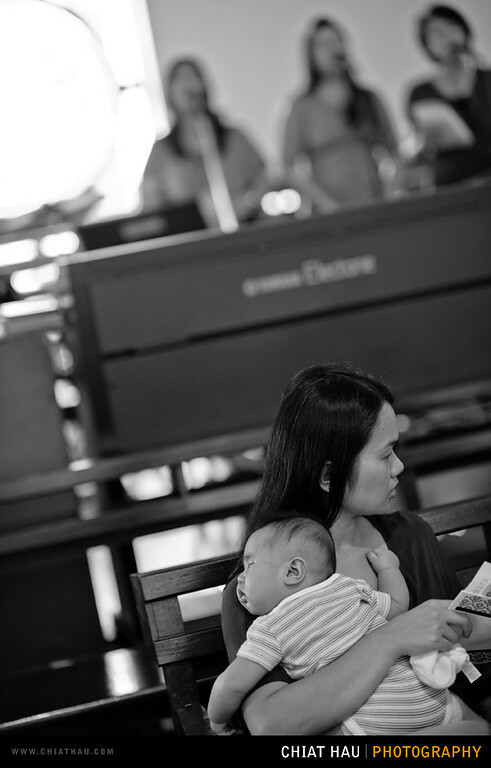 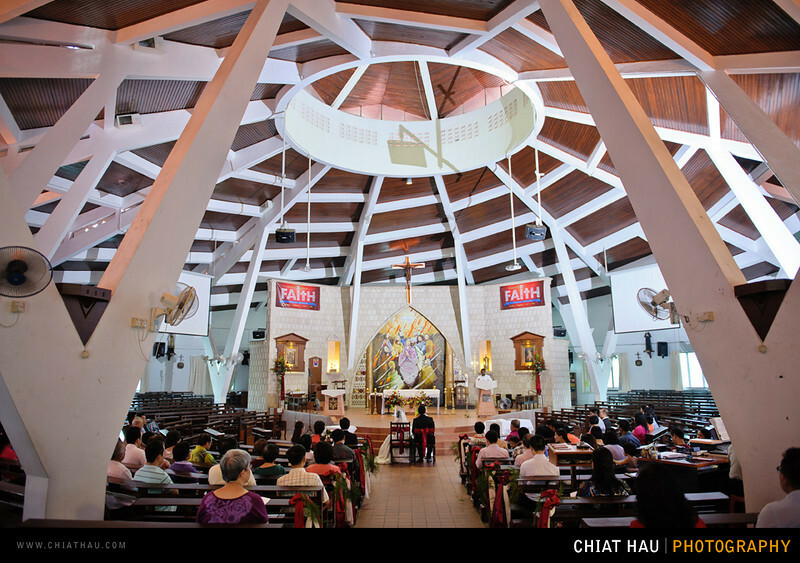 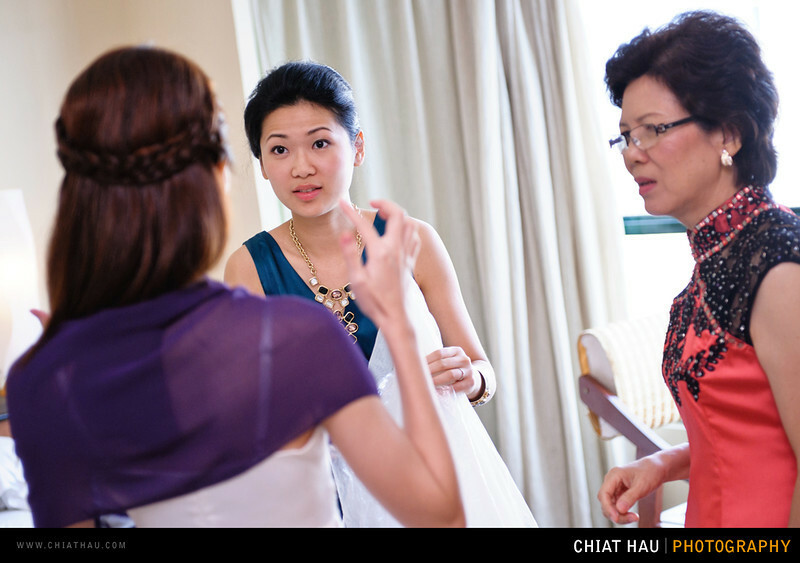 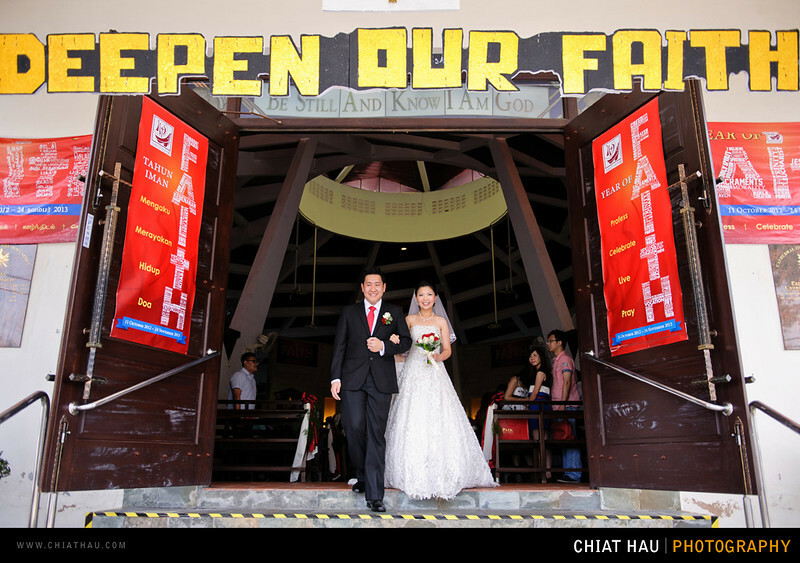 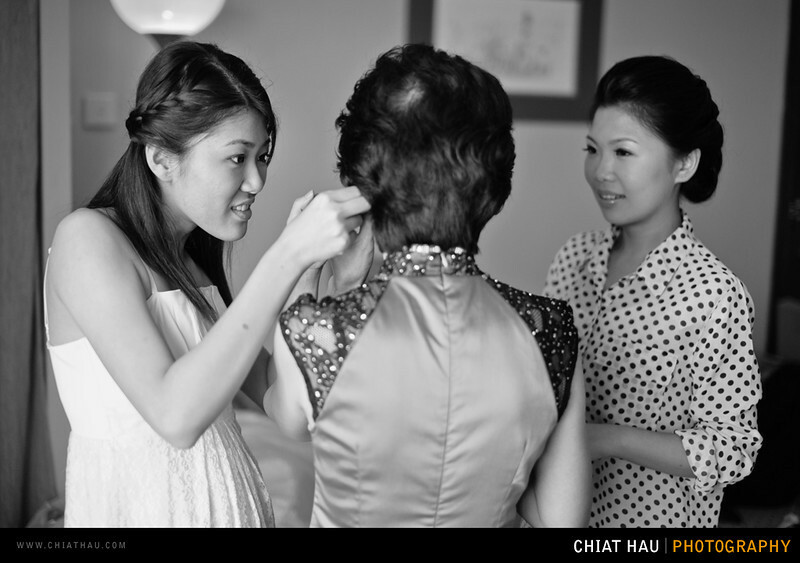 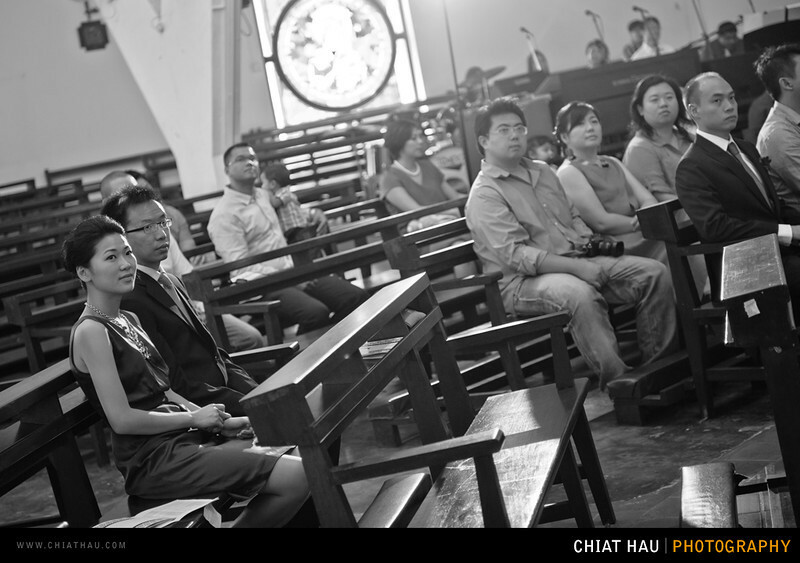 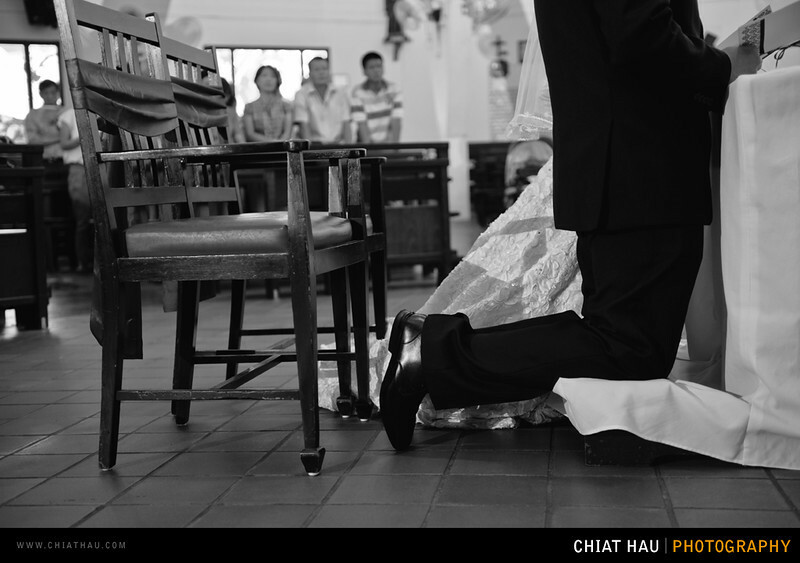 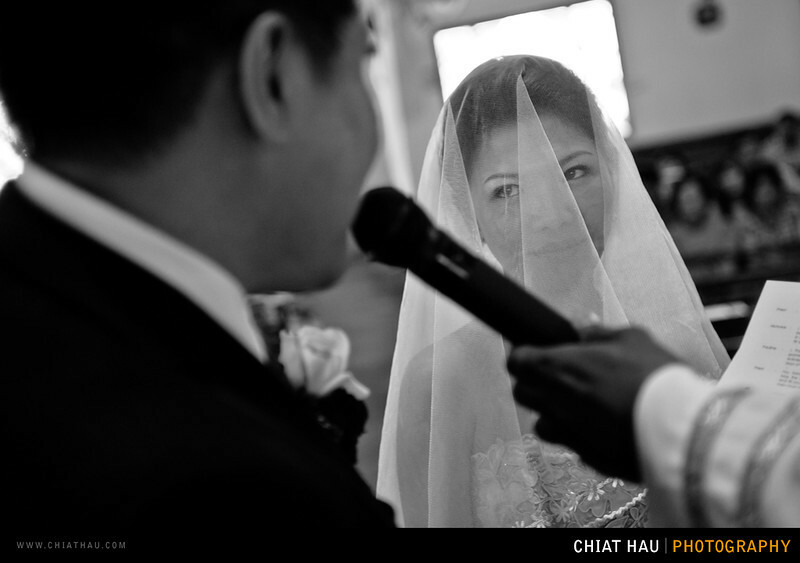 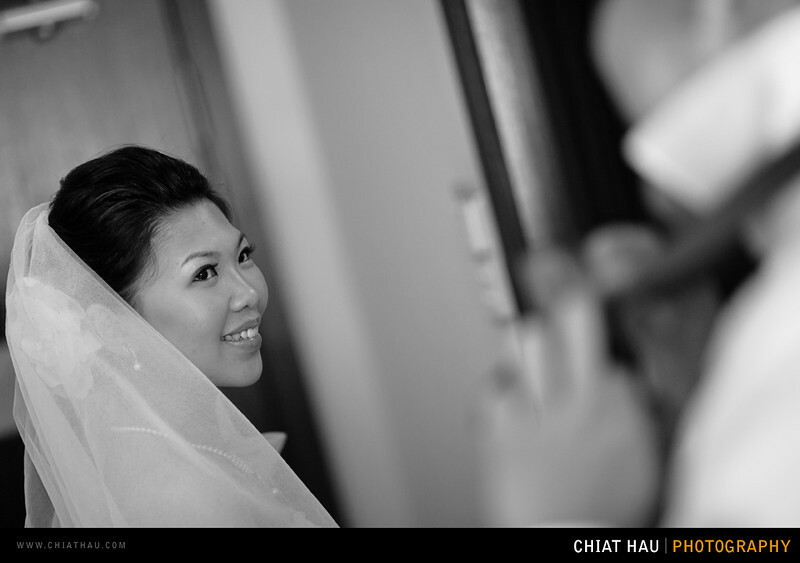 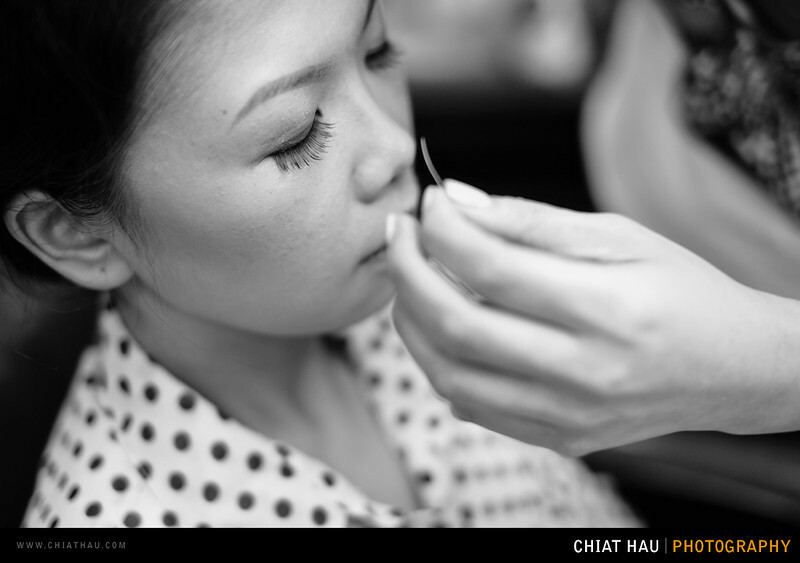 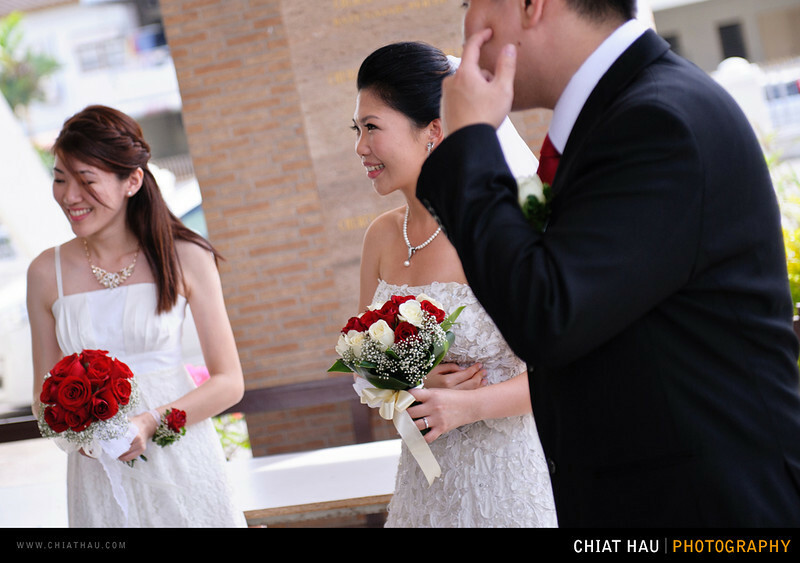 Thanks again for the posting and being the photographer of the day Chiat Hau. 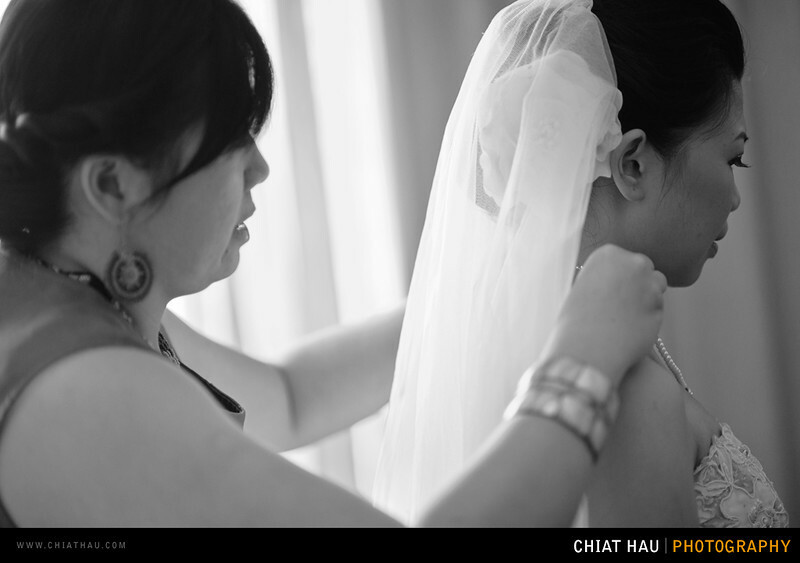 It's been truly worthwhile and we couldn't have asked for a better professional. 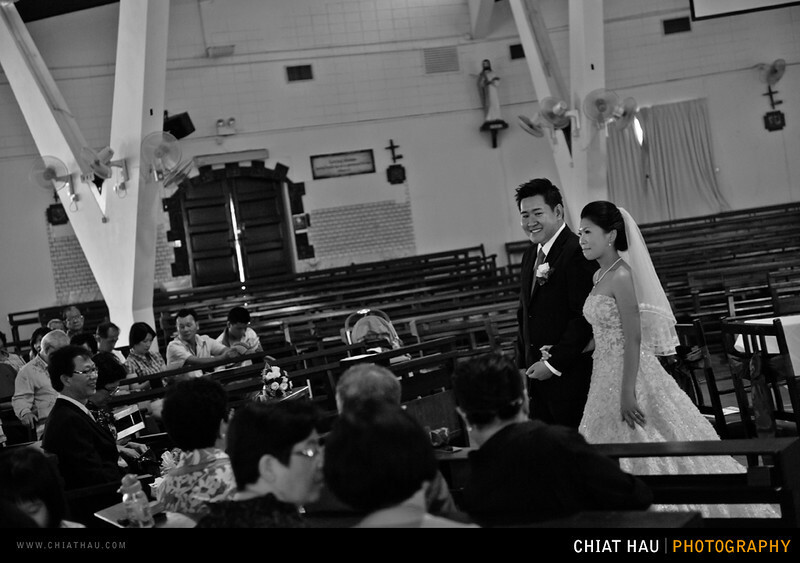 Absolutely love the pictures you've taken and how you made all your subjects comfortable in all your pictures. 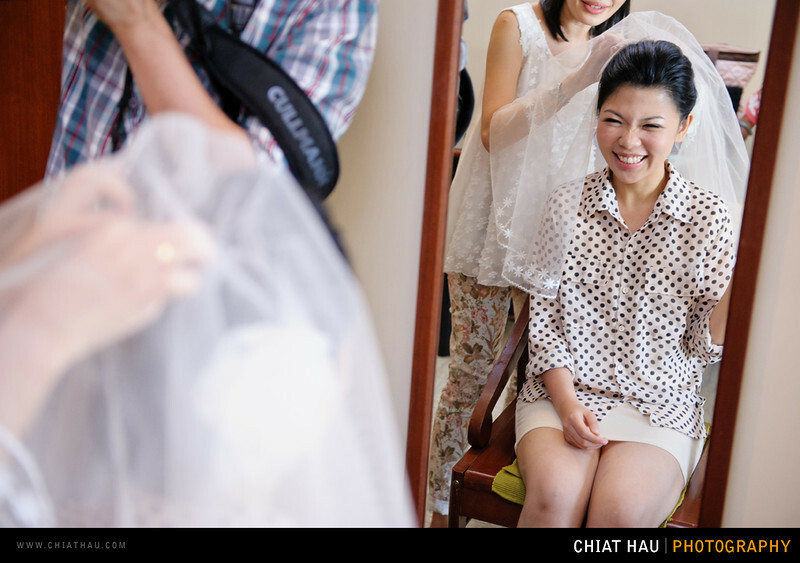 Thanks again and obviously the pictures will go along way in cherishing the day in what seems to be the beginning of my special journey ahead.